Florida Aerial Dance & Circus Arts presents an charming Aerial Circus Show for the whole family! 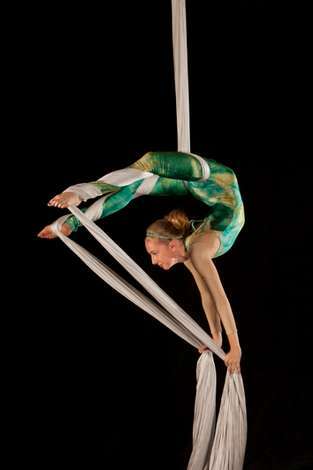 Student Circus performers will amaze on Aerial Fabric, Lyra, Trapeze, Rope and more! See a display of traditional Circus Arts such as Stilt Walking, Juggling and Contortion. Beloved actors Rae Randall & John Carlisle return as the "Narrators".